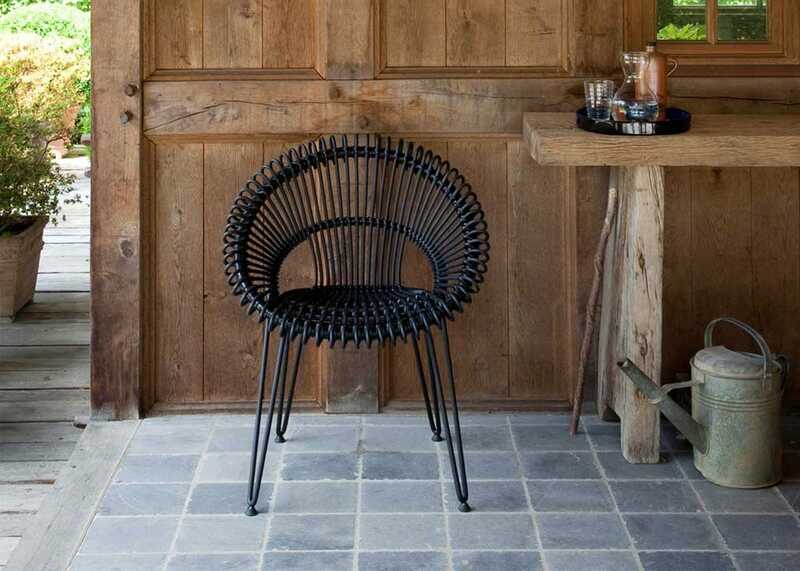 The sleek silhouette of the Roxy Chair is guaranteed to turn heads in any modern outdoor space. 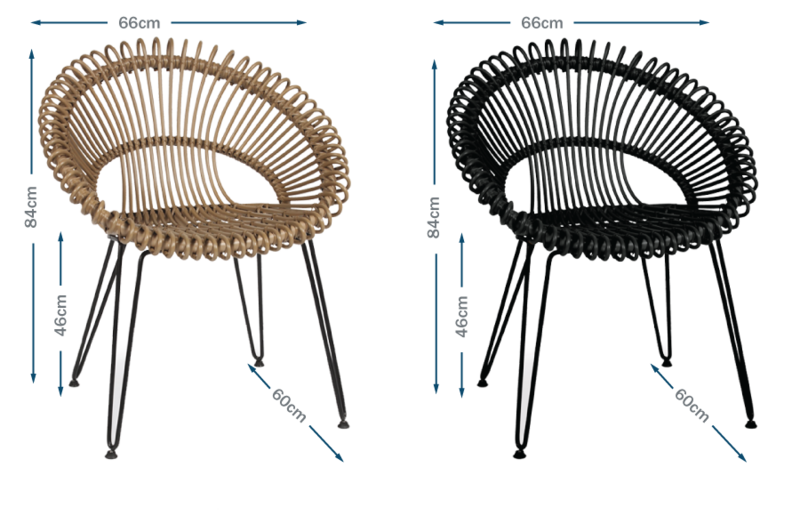 Reminiscent of the Acapulco chair popular in 1950's America at 'it' venues, Roxy blends classic luxury and modern design. Constructed using powder coated aluminium and polyethylene wicker in the Lloyd Loom weaving technique, it is resistant to all weather types and easily maintainable. Combines beautifully with the Leo dining tables from the 2019 Outdoor Dining collection. Combines with other pieces from the Vincent Sheppard outdoor dining collection. Adds a touch of vintage Hollywood glamour to your alfresco setting. The seat of the Roxy chair is made of recyclable resin for total waterproofing.